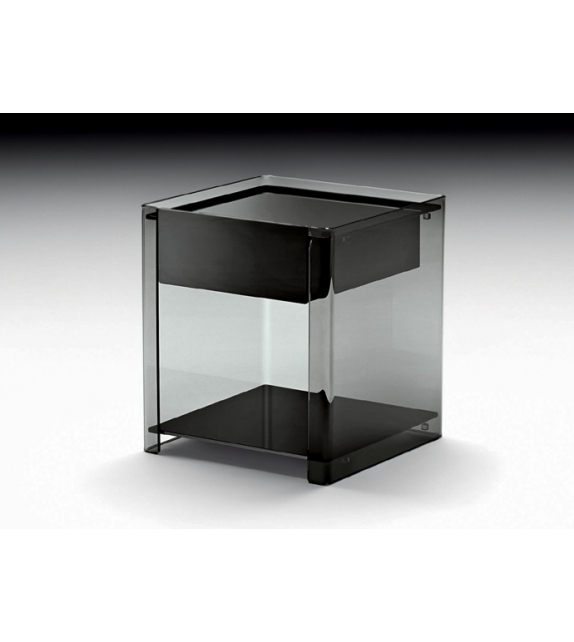 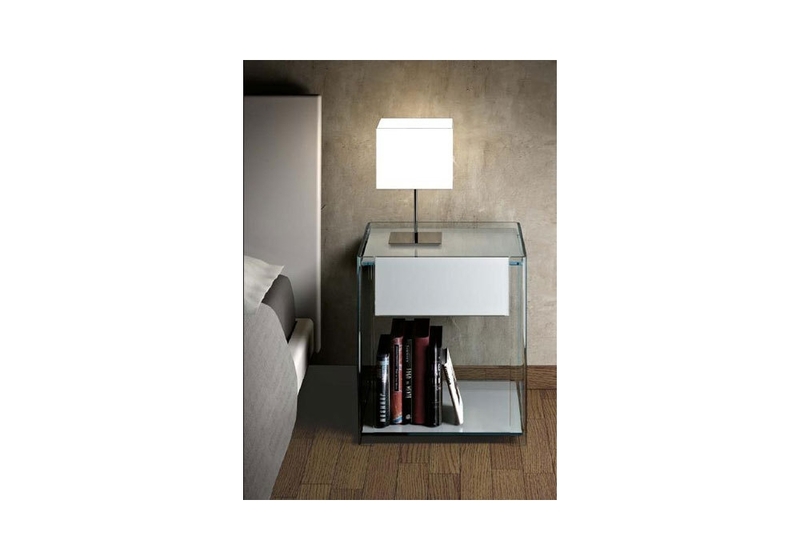 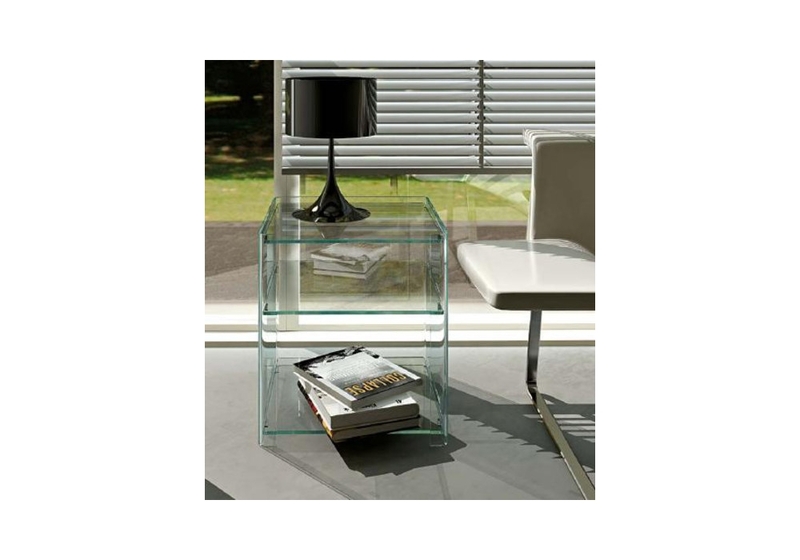 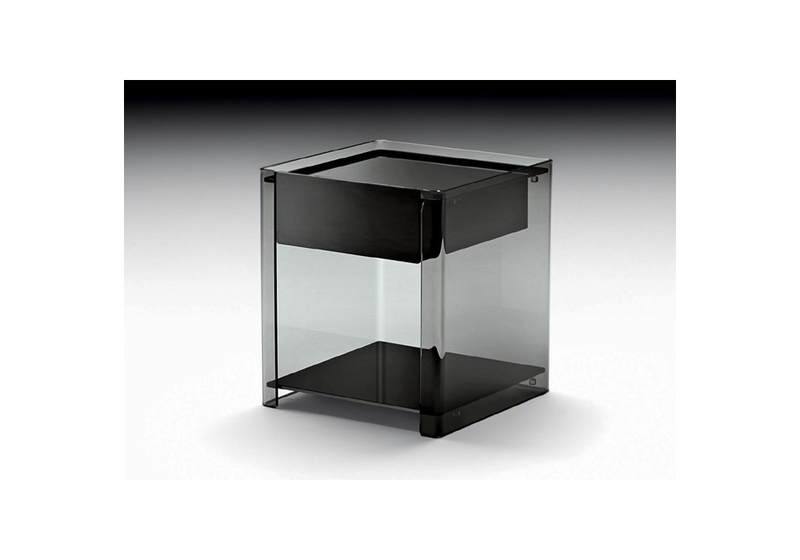 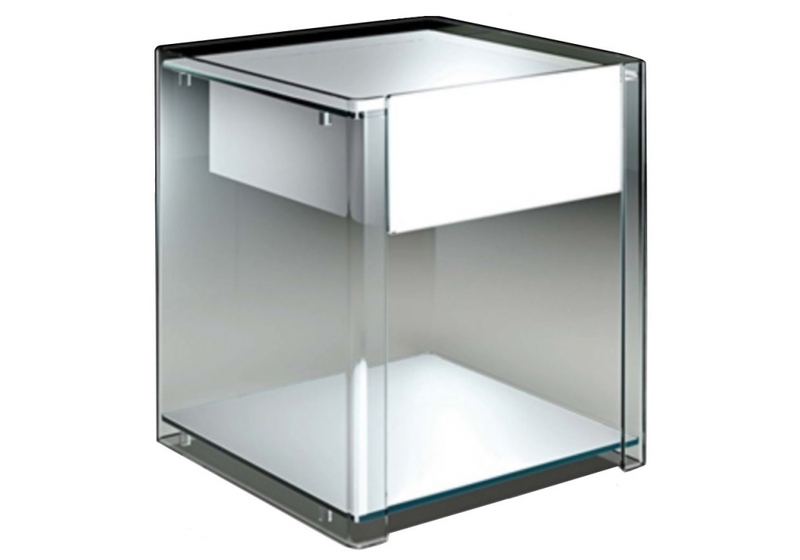 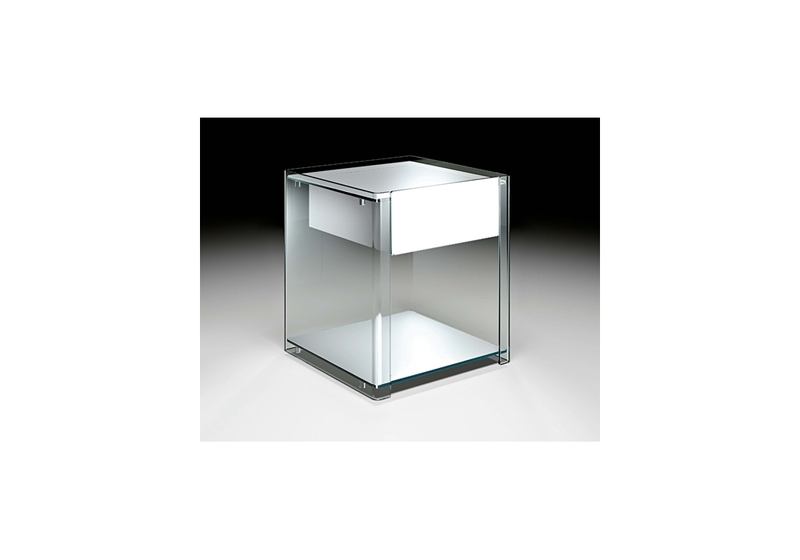 Fiam, Milo bedside table : Bedside table in curved transparent or smoked glass, 8 mm-thick. 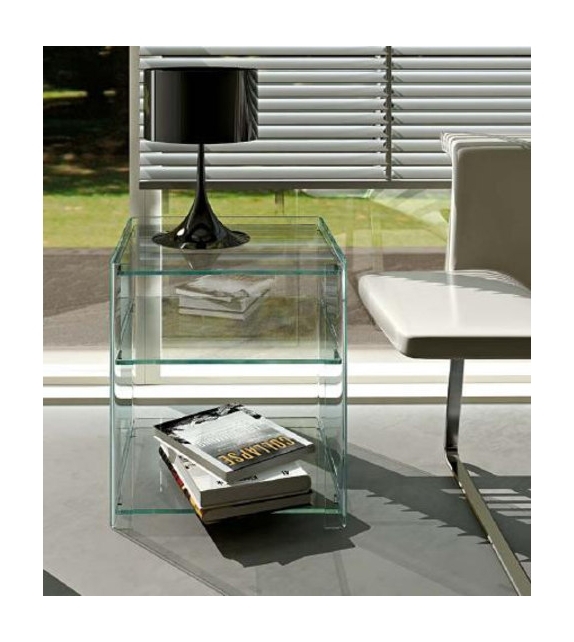 Fiam, Milo bedside table: Bedside table in curved transparent or smoked glass, 8 mm-thick. 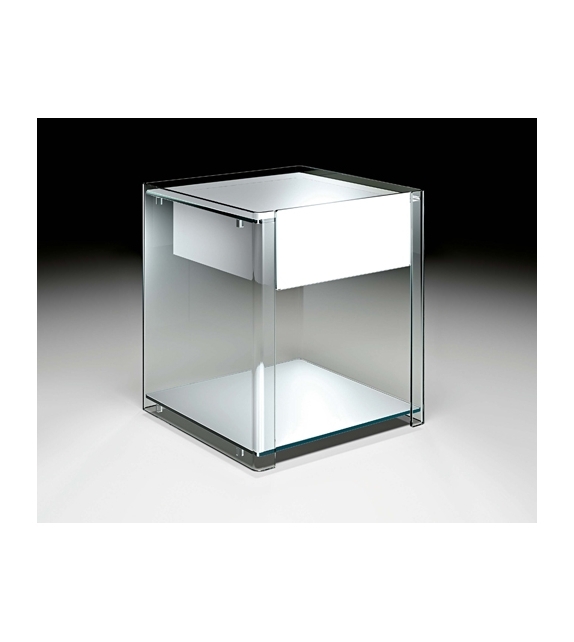 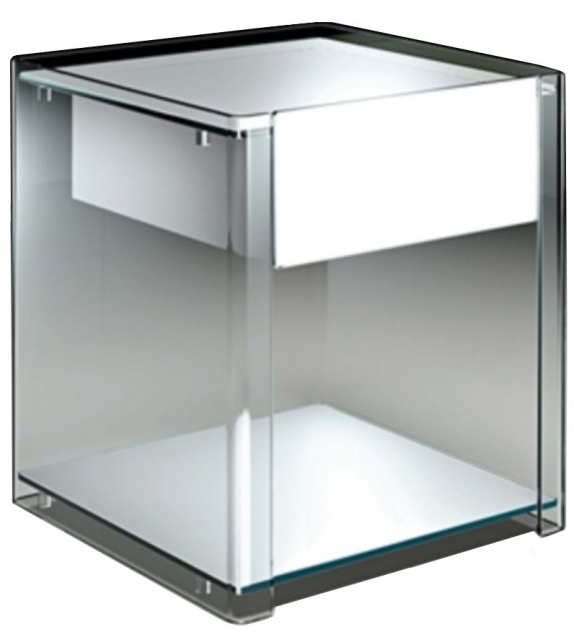 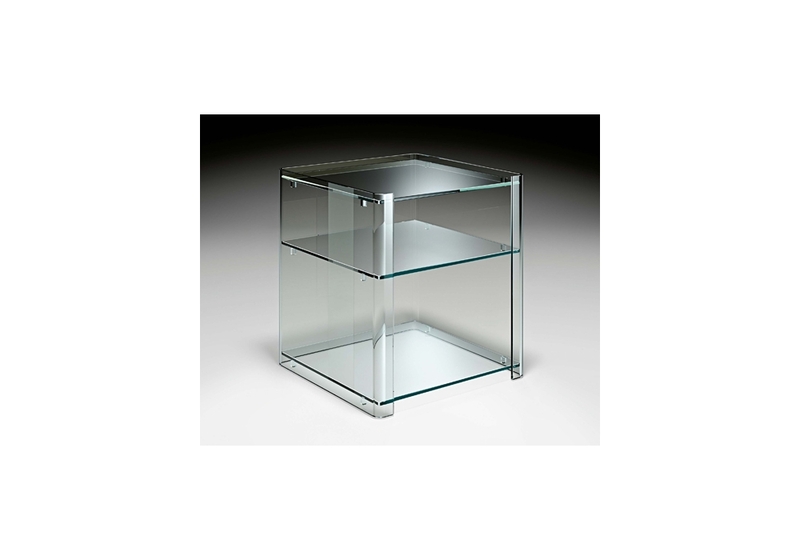 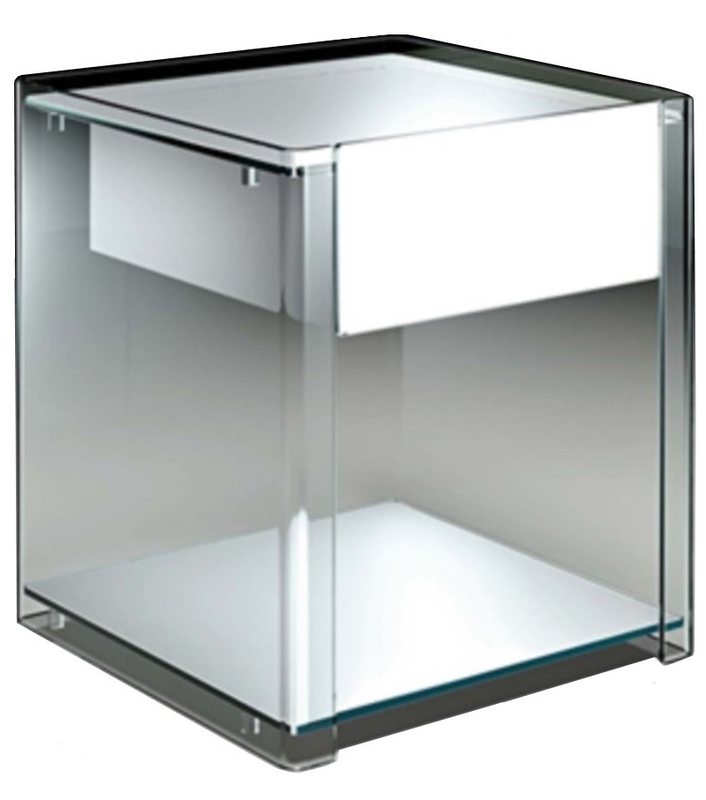 Accessories: 8 mm-thick glass shelf in the following finishing options: transparent glass, smoked glass, black backstained glass, extralight white backstained glass wooden drawer black or white lacquered, with glass front backstained respectively black or white. 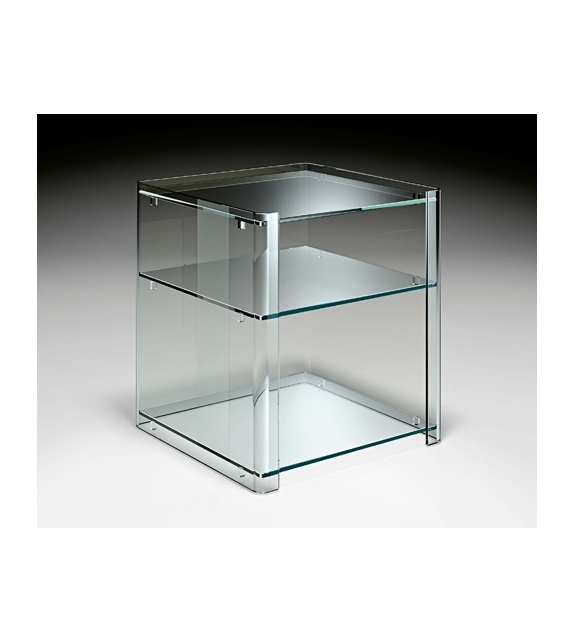 Glass shelves support. 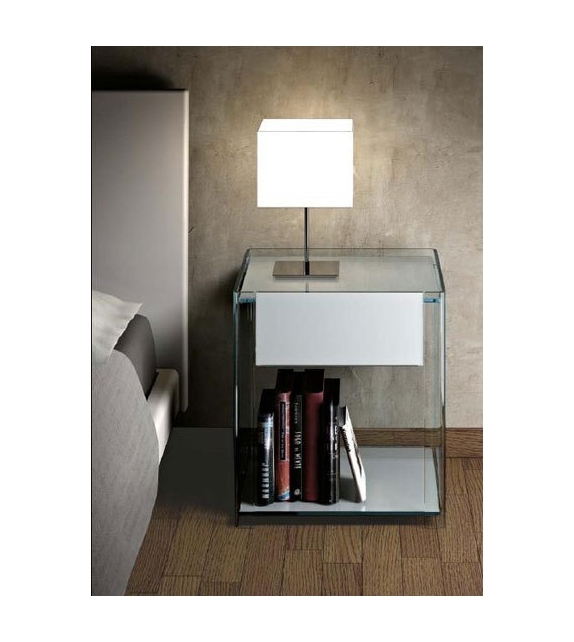 The bedside table can be fitted with 2, 3 shelves or 2 shelves and one drawer.